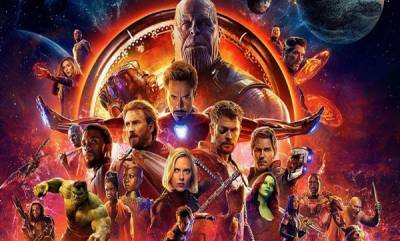 * The winner will be rewarded with a cash prize of Rs 1 lakh and a plethora of opportunities to work in the global film industry including Hollywood. * Selected entries will be screened at 4 th edition of Indywood Film Carnival which will be held at HITEX Convention Centre from 1 st to 4 th of December 2018. * 30 th September is the last day for submission. 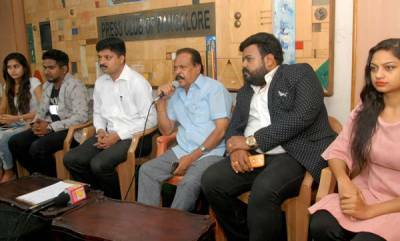 Hyderabad : In an effort to create awareness about the importance of CSR (Corporate Social Responsibility) activities, Indywood Talent Club, a worldwide network of student clubs aimed at promoting art and culture and managed by Indywood Talent Hunt, has invited entries for international- level video contest based on CSR related themes. Hyderabad-headquartered Indywood Talent Hunt (ITH) is an ambitious initiative promoted by 10 billion US dollar Project Indywood. ITH is a premier national-level platform to discover creative talents in various artistic and cultural domains. A team comprising of 3 to 25 people can participate. The entries must be submitted on or before 30 th September 2018. The videos can be made in any language but proper subtitles must be given. The submission fee is Rs 1,000. To register, log on to www.indywoodtalenthunt.com . 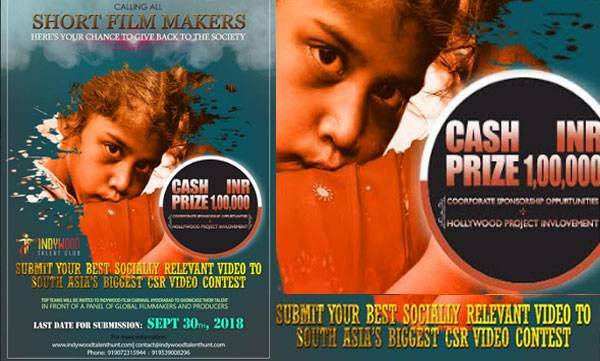 The participants should make a CSR video on any one of the below mentioned subjects; Make in India, Swachh bharat, Prevention of child trafficking, Prevention of beggary, Environmental Sustainability, One day earning for charity, Rural health, Education/Career, Women empowerment, Religious harmony, Human resource/skill/efficiency development, Reducing child mortality, Hunger and poverty, Combating immune deficiency virus, Disaster relief activities and Socio-economic-infrastructure development. The winners will be rewarded with a cash prize of Rs 1 lakh and a plethora of opportunities to work in the global film industry including Hollywood. The selected entries will be screened during the fourth edition of Indywood Film Carnival (IFC 2018), to be held at HITEX Convention Centre from 1 st to 4 th December 2018.